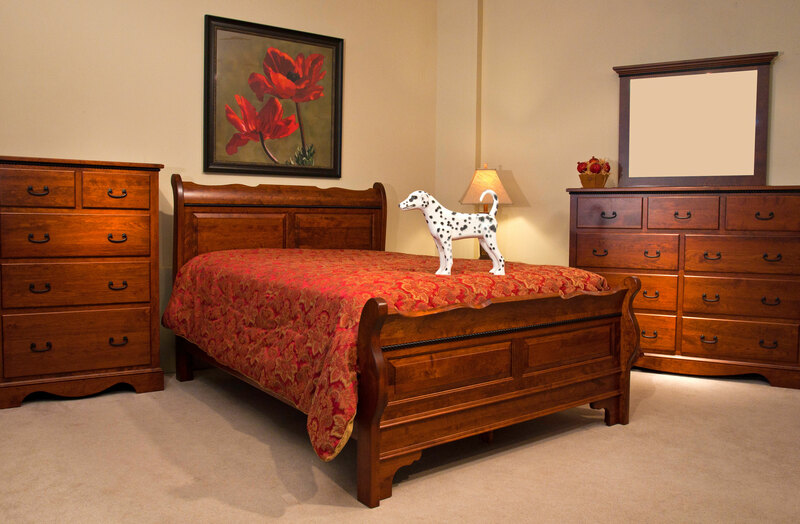 Amish Rustic Quarter Sawn Oak Bedroom – “Old World”. MADE IN U.S.A.!! 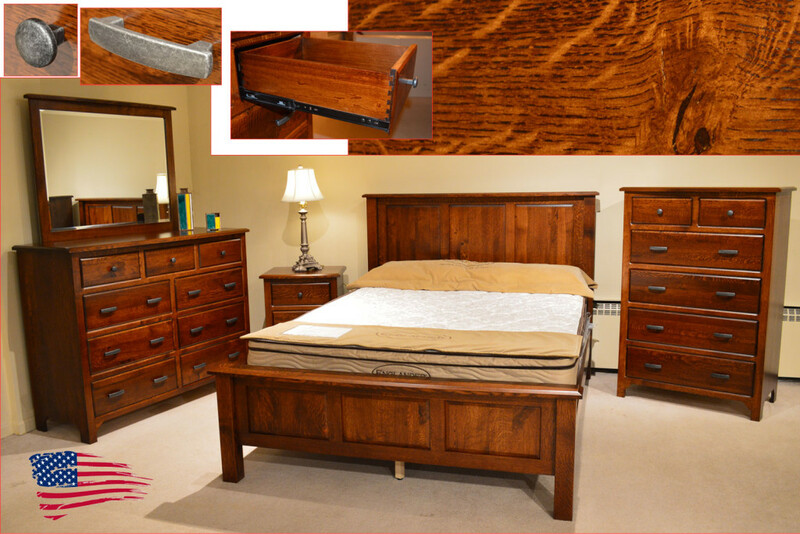 Amish Bedroom features catalyzed finish for an exceptional lifetime durability, plethora of style, finish colors, two tone options available, custom sizes, custom shapes, and wood specie options in solid (oak, maple, cherry, rustic cherry, tiger oak (quarter sawn white oak), rustic tiger oak, tiger maple, walnut, grey elm, hickory, hard maple). MADE IN USA! Created by Amish craftsmen. 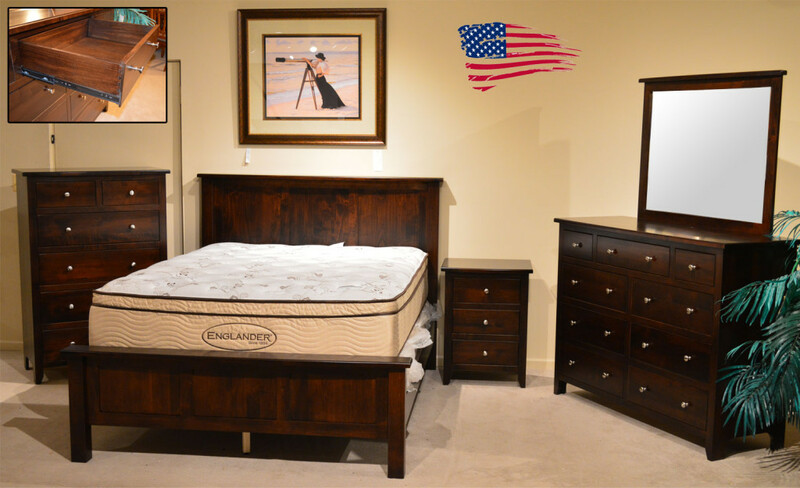 Heirloom quality bedroom room furniture your family will enjoy for years. 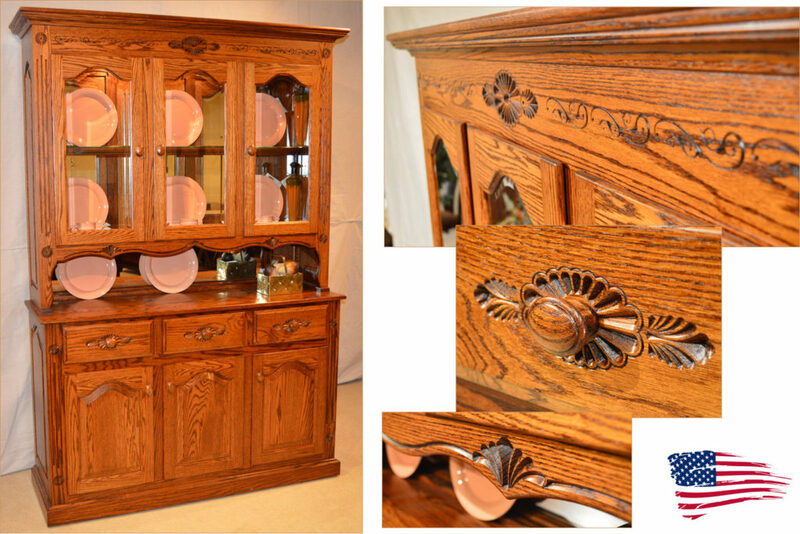 The Amish Master Hutch has bowed front in addition to the curved Mission legs. The Master style has unique styling with its bowed front in addition to bell shaped legs. 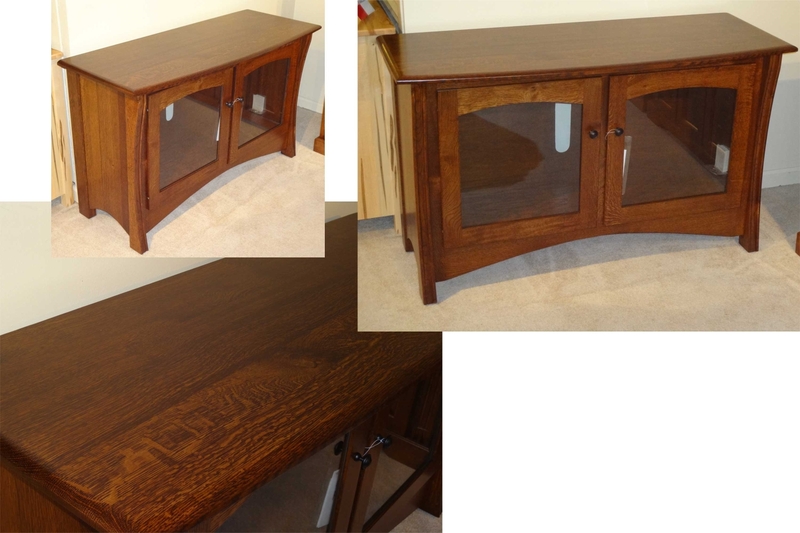 The Hutch consists of all solid Quarter Sawn White Oak. 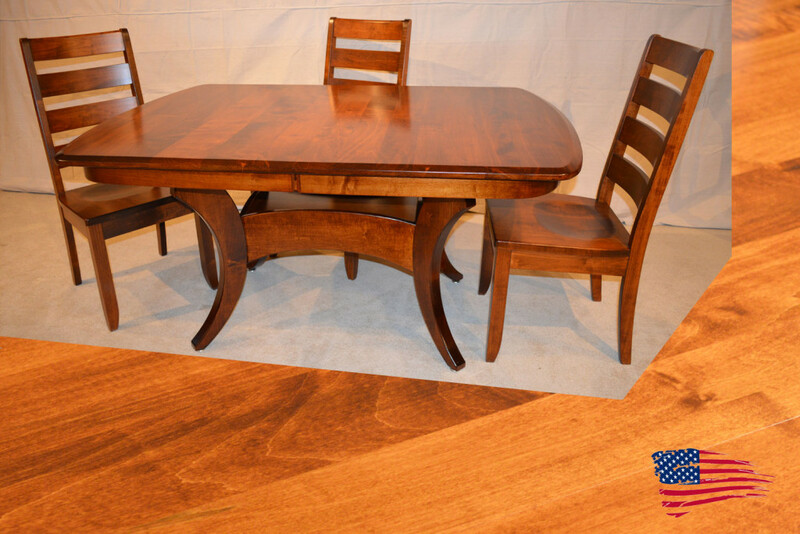 Quarter Sawn White Oak is a very beautiful, yet timeless wood specie. 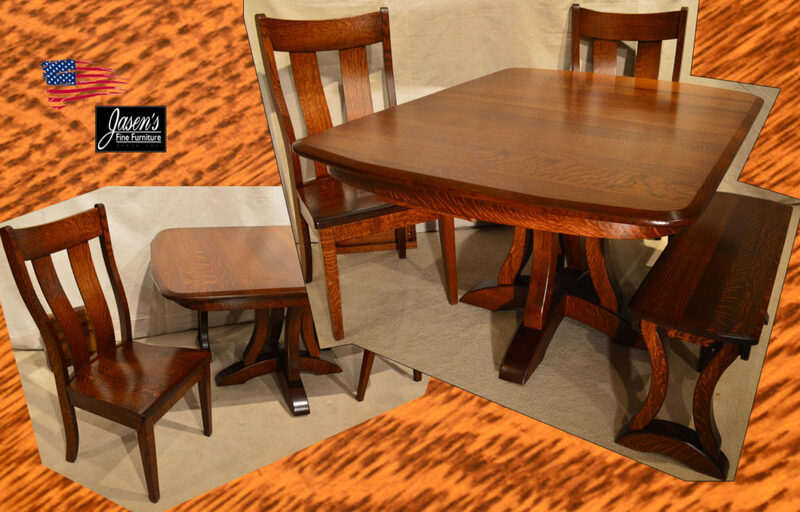 Most noteworthy is the wood’s tight grain, hence the tiger stripe appearance. The options shown also include can lights with three way touch switch. Other options available are almost limitless. 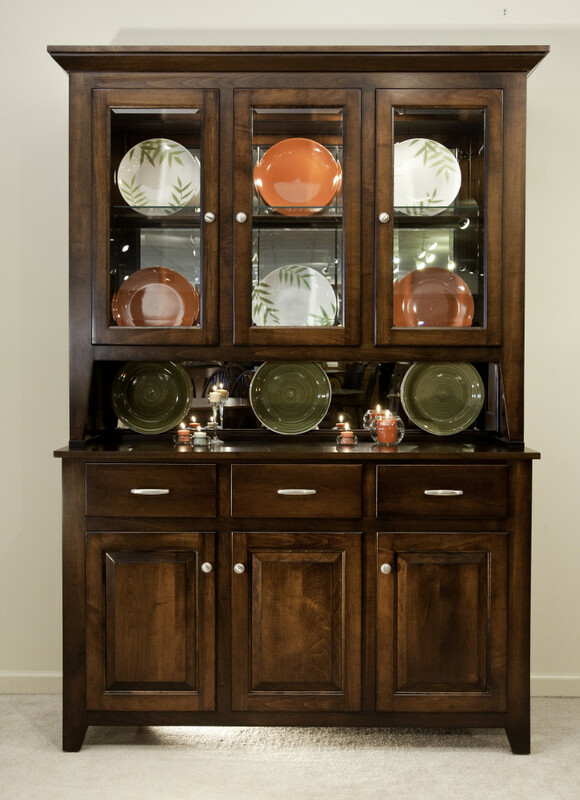 The hutch can be ordered in several wood species all available in dozens of colors! 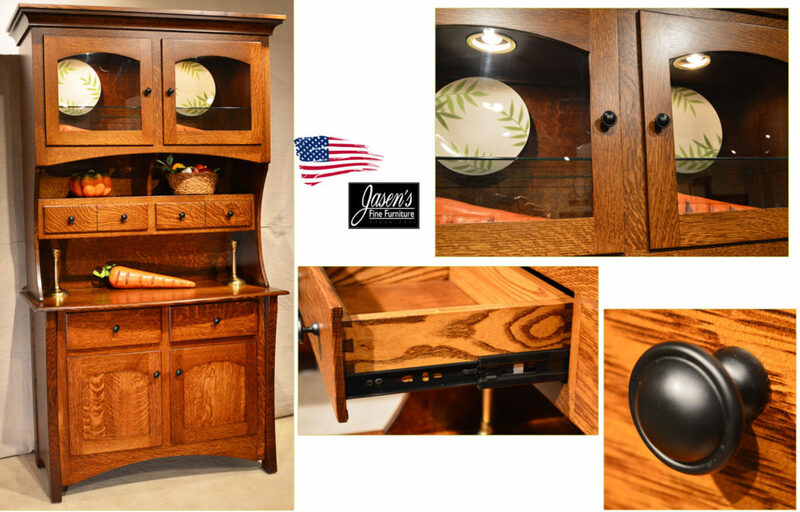 The Master Buffet is Amish Made, thus Made in the USA! Size: 80″h * 45.5″w * 18″d.